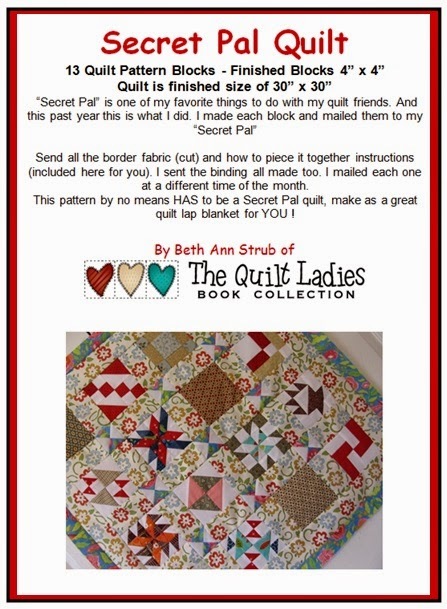 Send all the border fabric (cut) and how to piece it together instructions (included here for you). I sent the binding all made too. I mailed each one at a different time of the month. The pattern includes TEN large blocks and TEN small blocks. Large Blocks have a finished size of Thirteen and a half by thirteen and a half. 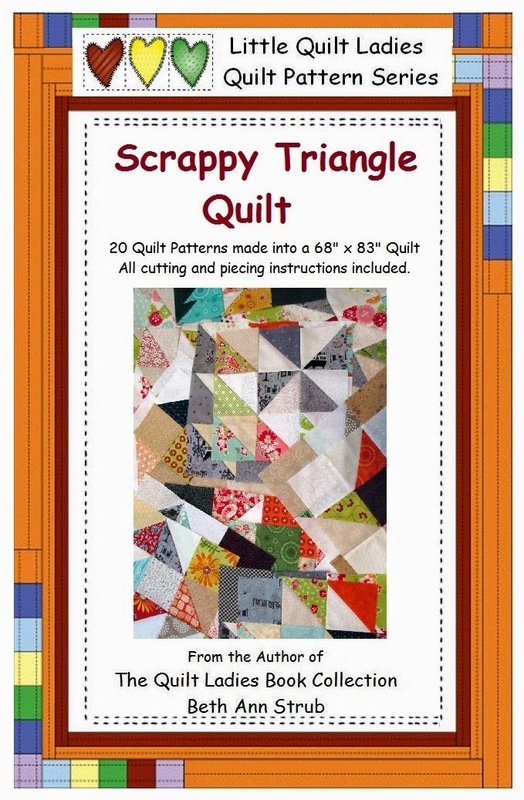 To make the quilt as pictured. You will need NINE large blocks andEIGHT small blocks.